What are Shopify Partners and Why Are They Important? If you own a Shopify e-commerce store then you might have come across Shopify Partners or Experts. What are they? Sometimes you might need a little bit of extra expertise to make the most out of your business - that's where Partners comes in. If you own a Shopify e-commerce store then you might have come across Shopify Partners and Experts and wonder why they are so important. Shopify is a user-friendly platform where even a web novice can create an online shop quickly and easily. However sometimes you might need a little bit of extra expertise to make the most out of your business - that's where the Shopify partnership comes in. They are specially selected Shopify experts (who have proved their unique expertise to the bosses at Shopify) who can help you with all aspects of your Shopify store, from design to marketing and everything in between. Why are Shopify Partners so unique? First of all, anyone can become a basic Shopify partner and earn money by referring new clients to Shopify. However most move up to the title of a Shopify expert. 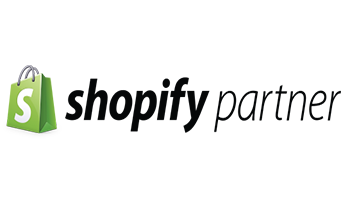 These Shopify partners have proven their Shopify expertise to the partner selectors. Each "wannabe" expert must have a strong proven-record of setting up successful Shopify stores. The selectors require at least five examples of Shopify stores that the company or individual have helped to set up. Only then are they granted the title of a Shopify partner and expert and will then get a listing on the Shopify website which is ranked accordingly to their success with clients. Design is the biggest demand from e-commerce store owners. Although Shopify create a wide range of free and paid themes, many e-commerce stores need custom designs. A Shopify e-partner will be able to design, code and create a custom Shopify theme. Not only will a great Shopify theme look great, but it will have superior functionality too. It is extremely important that your Shopify store is mobile and tablet friendly as user number on these devices are overtaking the more traditional desktop and laptop computers. By having a theme that is not mobile compatible, you could be missing out on vital conversions. Benefits of having a Shopify expert design your store:- Beautiful, professional design. Unique and brand focused store. All the functionality you desire. View the Shopify Builder design portfolio. Design is not everything. It is no good to just have a great looking e-commerce store, users must be able to find it too! You can build the best business around but without expert marketing, it could fall flat. A Shopify partner can specialise in Shopify marketing. This can vary from Search Engine Optimisation, help with Google Adwords or social media management. It is common for business owners to neglect these important tasks. After all, they are too busy running their business. In these cases, it is important to appoint a Shopify marketing expert. Benefits of having a Shopify expert marketing your store:- Social media updates, interaction that leads to more website visits and conversions. Rank organically in Google for specially selected keywords, have expert onsite optimization that has been tailored especially for Shopify. Help with Google Adwords. Manage your budget and use it optimally. See how we can help you with your Shopify marketing and SEO. Confused by collections? Not sure how to change your drop down menus? If your store is difficult to navigate then you may need some help! Shopify stores allow unlimited products - which is great - organizing them is a different story. Make sure your customers have a seamless user experience by having a Shopify partner expert arrange and organising your products and collections. An expert can also help with functionality such as product filters and the checkout process to optimize your conversions. Benefits of having a Shopify partner help with store functionality:- As easy-to-navigate store where customers can find what they are looking for. Install product filters for colour, size, brand etc. Save hours of time uploading products, images, writing product descriptions, creating tags. Have a smooth check-out process which boosts conversions too. [embed]https://www.youtube.com/watch?v=8y4JzCopAPg\[/embed] Learn about Shopify POS above.Many eCommerce store owners also have physical shops too. This means they might need to link up their physical shop with their online one. Therefore some Shopify partners specialize in integrating your shop into the online world. If you need an item to show as out-of-stock on your website as soon as you sell it, then this may be the service for you. In fact, Shopify supply their very own POS software which may mean saying goodbye to the till in your store altogether! With the help of a Shopify partner to help integrate, you could be up and running in no time at all. Benefits of having a Shopify expert help with POS:- Syncing your front of house POS with your Shopify POS means you never have to spend hours updating stock separately on your Shopify store. Save hours of time manually entering the required "bar codes" to sync your inventory. Have easy returns, staff accounts and a visual timeline of sales all in one place. Account for cash sales in your store, all on an iPad. If you are looking for a highly ranked Shopify expert, then Shopify Builder are your team. We have been ranked number one for Shopify Design and Shopify marketing of the experts platform. Transforming countless Shopify e-commerce stores into beautiful and captivating businesses. From a superb, custom Shopify theme, to helping our clients rank highly on Google search - our business is your business. Enquire now to see how our Shopify experts can help you today.